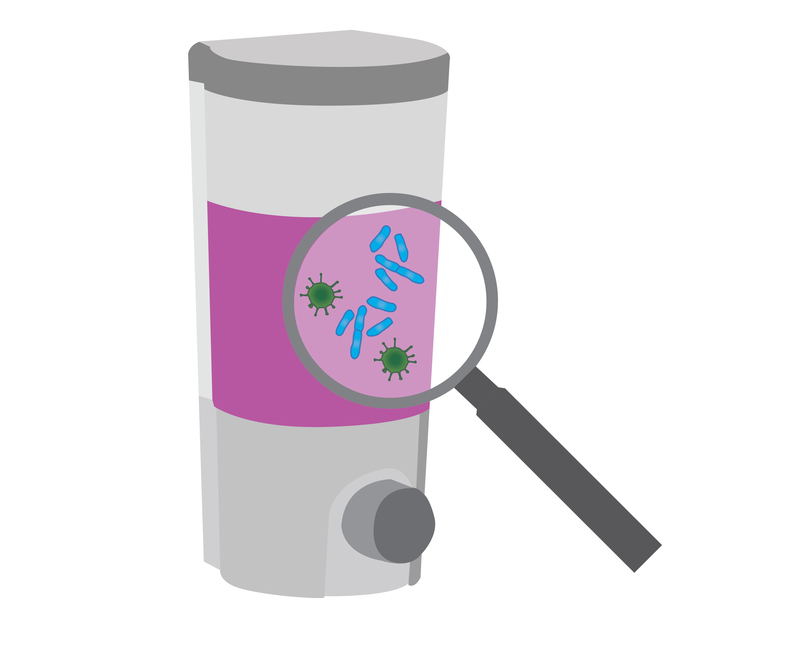 Studies by American Society for Microbiology have found that approximately one in four soap dispensers in public washrooms contains soap that is contaminated. Washing hands with contaminated soap can contribute to the transmission of germs and bacteria. • Switch to soap dispensers that work on sealed refill packs in the form of pouches, soap bags and cartridges. Click here for a list of sealed refill packs. o Ensure refillable bottle is empty, clean and dry before topping up. camip.info. 2010. Le risque des savons contaminés : expérience du centre hospitalier universitaire de Rennes. Available at: http://www.camip.info/Le-risque-des-savons-contamines.html. Applied and environmental microbiology. 2010. Bacterial Hand Contamination and Transfer after Use of Contaminated Bulk-Soap-Refillable Dispensers. Available at: http://aem.asm.org/content/77/9/2898.full. Clean Link. 2012. Soap Dispensers: Preventing Cross-Contamination. Available at: http://www.cleanlink.com/cp/article/Soap-Dispensers-Preventing-Cross-Contamination–14671. Copyright 2019 Duprex Singapore Pte Ltd. class="single single-post postid-2238 single-format-standard x-integrity x-integrity-light x-navbar-static-active x-full-width-layout-active x-sidebar-content-active x-post-meta-disabled x-v4_3_4 x-child-theme-active cornerstone-v1_1_3"